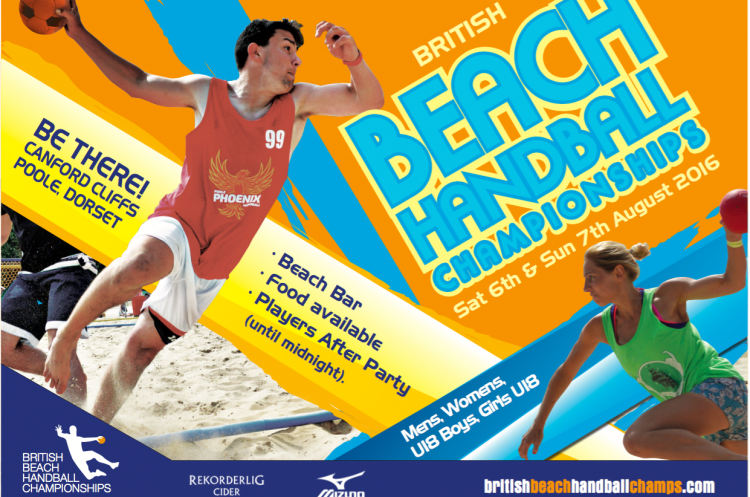 Entries are open for the 2016 British Beach Handball Championships that place at Canford Cliffs, Poole, Dorset on 6-7 August 2016. The Championships are in their fourth year and have gone from strength-to-strength. This year there are men’s, women’s, and girl’s and boy’s under-18, competitions. Teams from all over the UK and Europe take part. Last year 36 teams entered. German side TVE claimed the women’s crown, while London GD won the men’s competition for a third successive year. The tournament will be even bigger in 2016. All teams are welcome enter for a fun weekend filled with friends, food, drink and, most importantly, handball. This year the championships has linked with a local camping site to offer competitors staying for the weekend the cheapest and best experience available. There will be a shuttle service between the campsite and the beach. If you have any questions please contact the team at: Sales@thebbhc.co.uk. To get a taste of what the championships are about take a look at the film below of highlights from 2015.